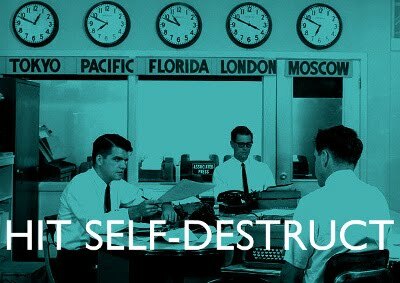 Why is it that the first time Hit Self-Destruct really becomes about other people, it's because of something sad? Well, let's say "downbeat" instead of "sad". This is about gaming journalism veteran Jeff Green, who, it was announced yesterday, is leaving 1UP.com and the field of gaming journalism to work as a producer at EA's Sims studio. Sadder things happen in the world. It's a good job going to a cool guy and I'm glad he's having a positive career turn following the April closure of Games for Windows magazine (née Computer Gaming World). Understandably, he seemed less than thrilled with the de facto transition from editor-in-chief of a national magazine to the editor-in-chief of the PC gaming section of 1UP.com. It would be weird if he was happy there. The move is a sad one for purely selfish reasons. I admired and respected Jeff Green and his work, and losing the latter hurts even though I wonder why I have such a high investment in the quality of the gaming press since I still have never written about games professionally (although I am a "game commentator" according to Gamasutra.) Jeff Green was a smart writer and a talented reporter, a charming and likable media personality. He's not dead, of course, he remains all of those things, but the qualities which make Jeff Green special are seldom found within gaming journalism. He was one of very few in the profession writing from the perspective of a responsible guy in his late 40s with a family, instead of -- to quote his colleague Robert Ashley -- "the teenage exploits of an anime fan." Given the relative immaturity of the entire medium, I feel a little self-conscious mourning the departure of a gaming journalist, especially one I have never met. It happens to everyone, though, with any number of public figures, and within a certain niche Jeff Green had become a kind of celebrity. Even though it's a gaming podcast he was still the host of an entertainment program. Over the past year the GFW Radio podcast quickly became my favourite gaming-related thing but also one of my favourite anythings across every form of entertainment. I looked forward to it every week and to see it so abruptly diminished, if not outright ended, was truly heartbreaking. It was inspiring to hear Jeff Green single out everything that was wrong about gaming journalism and talk about how he wanted to change it, about how, at this late stage in his career, he refused to write any more content that was stereotypically dull or trite or uninspired in all the ways that come to mind when we think of bad games writing. And he talked about how the profession would have to fight to switch to a non-endemic advertising model to better assert its independence. Then he was rewarded with the cancellation of his magazine and finally being forced to switch career tracks entirely because of unfortunate circumstance. Jeff Green made the move out of necessity, as I understand it, and I don't blame him. I'm always discouraged by seeing so many people treating games journalism as basically a waitressing gig, or as the new QA: a foot-in-the-door to game development. But what does it say about the state of gaming journalism when the people who are committed don't have homes anymore? That's the thing about Jeff Green: he was in it for 17 years and you always assumed he was a lifer. It was such a shock to see that he, of all people, would be leaving. I'm never ready, I realise, for the things I like to go away. It's easy to forget that they always do. What's left, then? All the moments between people leaving. Appreciate that you still have them. And try not to dwell on the eventually devastating -- and yeah, sad -- promise that anyone who enters public life always makes, always fulfills, but never says out loud. I promise to leave you. I accidentally read about Green leaving today and I have to say, it shocked me a little bit. Like you say, he seemed like a "lifer" to me too, a genuinely insightful man who shows you that a 'gamer' doesn't instantly die when he or she turns 33, but maybe does change in what his or her priorities are for a game to be good or fun (although that still wouldn't happen instantly, I think). He was easily the funniest person on GFW - I mean, the kids love Shawn Elliot and he can be funny, but he doesn't make me laugh half as much as mr. Green does. I make it sound like he died but in a way to most of us he has, because he more or less will disappear completely from our lives. That sounds much too heavy-handed, but there you go. I feel the same way about jeff geene's departure. I look forward to GFW Radio each week the same way I look forward to 30 Rock or the Daily Show. It's such a funny and smart show, and so much of that comes from Greene. I'll miss the guy, and I hope he shows up again in some capacity. Also, I am responsible for your "game commentator" label! Thank you for the credibility!